How Can You Best Prepare for Your Medical School Interview? 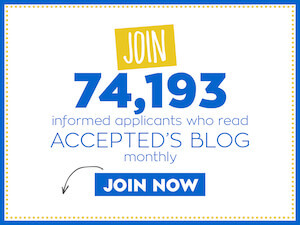 Only a small percentage of applicants receive med school interview invites, so if you have made it to this select applicant pool, then your admission chances have definitely increased. Knowing this, what should you do to be best prepared? Make sure you arrive well in advance of your scheduled interview time. Most schools offer a day-long interview schedule, therefore it is recommended that you arrive the evening before so you can get settled and relax. Be professional. The key is to wear something you feel comfortable in, and even more importantly, something you feel confident wearing. Comfortable shoes are also a good idea. Limit anything you or others might find distracting – for example, if your clothing doesn’t fit well and you’re constantly adjusting it, or if you’re wearing loud jewelry, you risk your outfit overpowering your message. • Preparing for each and every school you interview at is very important. Spend time reviewing the curriculum, the school’s mission, the facilities, the hospitals you will be completing your clinical rotations at, the available community opportunities – everything that defines the institution. Try to figure out why you are a good match for this particular school so you can honestly state why you want to go there. • Read through your AMCAS application. It’s been months since you completed your application so review what you wrote. Don’t be caught off guard. • Think about what has changed since your AMCAS and secondary application submission so that you know what other information you want to make sure you share with your interviewer. Include anything that may have changed in your application, such as your plans for the current year, a recent publication, etc., so you can update your interviewer if necessary. • Why do you want to go to medical school? • Describe your clinical exposure. Was there significant patient contact? • Describe the activities you had during your gap year. • Why did you enroll in a postbac program? • What qualities do you possess that make you confident you can be a physician? • What are your strengths? Your weaknesses? • What is your position on… (choose your controversial topic – abortion, right to life, assisted suicide, Medicare, DNR, etc)? • Where do you envision yourself 10 years from now, professionally? • What are your opinions on managed care? When your interviewer is done asking you questions, he or she almost always asks you for questions. Try to have a couple of good questions prepared. Don’t just ask a question to ask one, but ask questions that are relevant to your background, questions that show your serious interest in the school and your knowledge of the institution. • Maintain eye contact throughout the interview. • Take notes if it seems relevant – this shows that you are truly interested. • If you are animated and outgoing go right ahead and show it. • If you are shy that’s fine, but still try to find a connection with your interviewer. • If you are discussing a weak part of your record, own up to your mistakes and then stress your improvements. Don’t minimize your past, but try to move on to future positives. • If you are one of the lucky ones who has not had many struggles in your life, then still think how to answer an adversity question. Adversity comes in many shades – physical, financial, personal and/or emotional. Each of us has had some degree of struggle. Make sure you follow up your interview day with a personal thank you note to your interviewer. If you had a special experience with a student or student group and/or a non-interview faculty, you should also include that experience in your note. You’re almost there! Team up with an interview expert to prepare you for the interview that will land you that golden acceptance. View our Medical School Interview Services, and work one-on-one to achieve the greatest results.